The Atlanta bridal shop (our 8th shop! ), is located in the West Midtown Design District, an area brimming with vibrant artists and rich history. 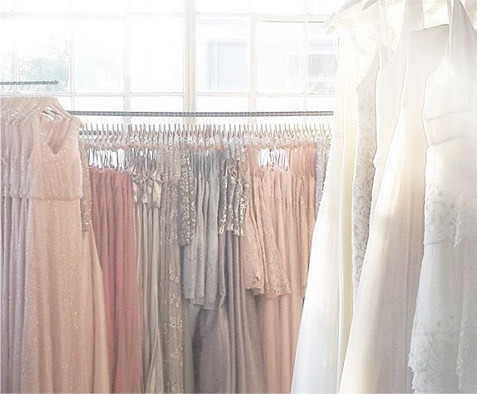 In a neighborhood filled with original Civil War-era warehouses and rail lines, our bridal store resides in a historical, thoughtfully renovated space. Having maintained much of the original architecture, like exposed lofted ceilings and huge windowpanes, it's filled with natural light - ideal for the bride-to-be! 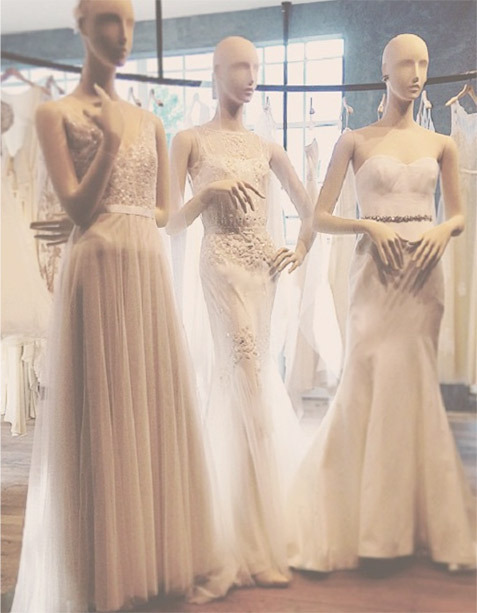 We take pride in the fact that Atlanta is heralded as a destination for wedding dresses and bridesmaid dresses and are eager to assist, so take your time browsing our carefully curated selection of gowns, dresses, and accessories. The neighborhood also boasts some of the best restaurants and renowned chefs in the city; a few of our favorites are Bacchanalia and JCT. Kitchen & Bar. Or, pop into one of the art galleries and performing arts venues nearby - we especially love the King's Plow Arts Center and the Westside Cultural Arts Center.